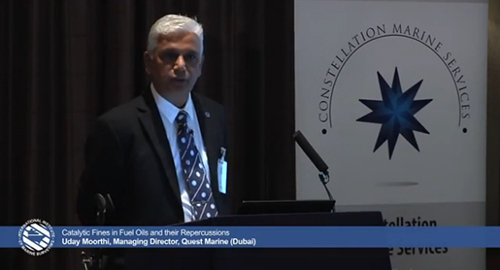 This video is of a presentation given by Uday Moorthi on the technical topic of catalytic fines in fuel oils and their repercussions. Video length: 26 minutes. 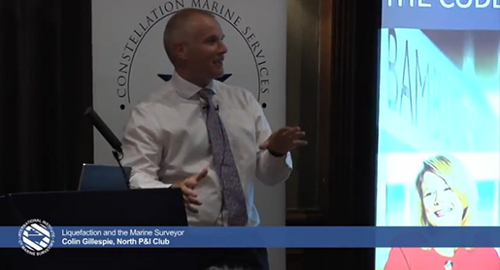 Liquefaction and the marine surveyor is the subject of this video presented by Colin Gillespie of North P&I Club. Video length: 36 minutes. 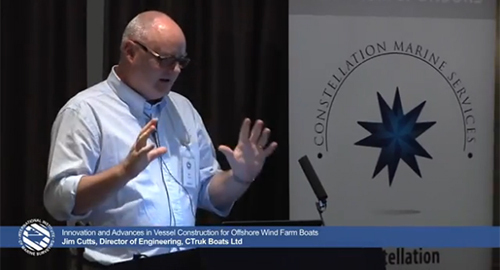 Jim Cutts from CTruk Boats assesses the innovation and advances in vessel construction for offshore wind farm boats in this film. Video length: 29 minutes. 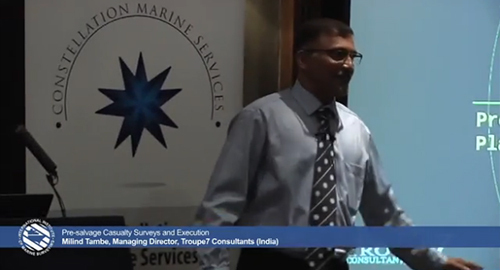 In this video Milind Tambe from Troupe 7 discusses pre salvage casualty surveys and their execution. Video length: 38 minutes. 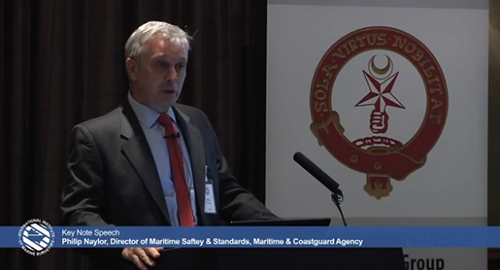 Philip Naylor, Director of Maritime Safety & Standards, Maritime & Coastguard Agency delivers a key note speech. Video length: 23 minutes. 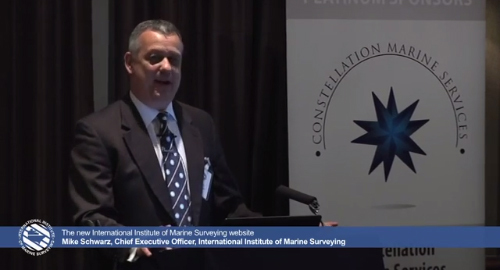 Mike Schwarz, IIMS CEO, introduces the new International Institute of Marine Surveying web site in its test environment. Video length: 45 minutes. 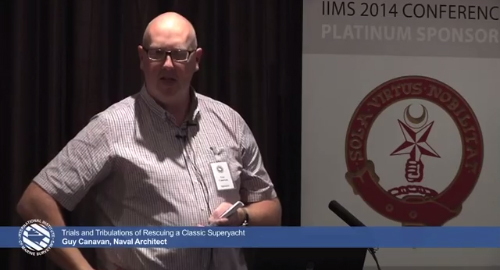 In this engaging video, Guy Canovan presents the trials and tribulations of restoring Shemara, a 1930's classic superyacht. Video length: 42 minutes. Capt. 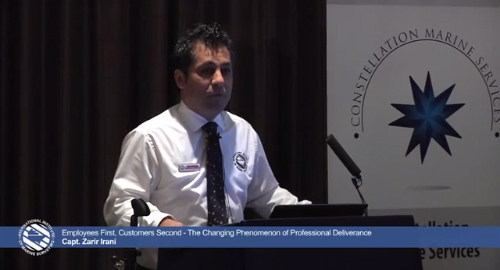 Zarir Irani presents the latest management buzz theory 'Employees first, customers second' in this presentation. Video length: 41 minutes. 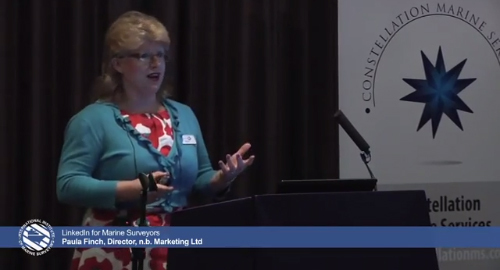 Paula Finch of nb Marketing talks through the importance of using LinkedIn as a business tool for marine surveyors. Video length: 30 minutes. 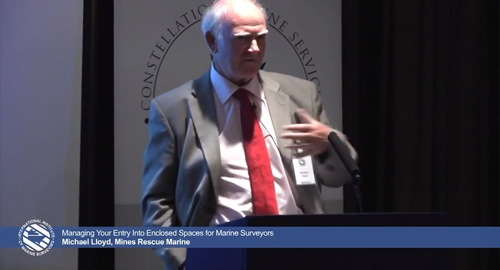 Adam Allan and Michael Lloyd discuss the inherent dangers of working in enclosed spaces and how to minimise the risk. Video length: 58 minutes. 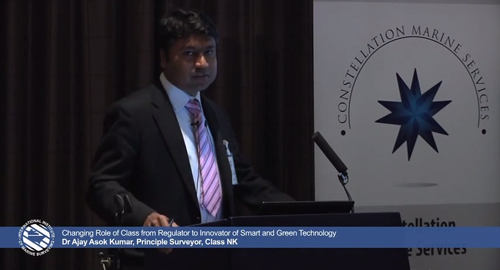 Dr Ajay Asok Kumar talks about the history of the Class Societies and explains the changes being made to keep them relevant. Video length: 28 minutes. 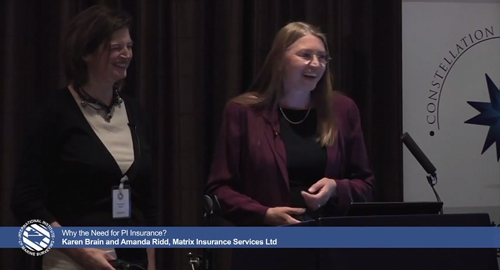 Karen Brain and Amanda Ridd of Matrix Insurance Services Ltd explain why Professional Indemnity (PI) insurance is essential. Video length: 24 minutes. 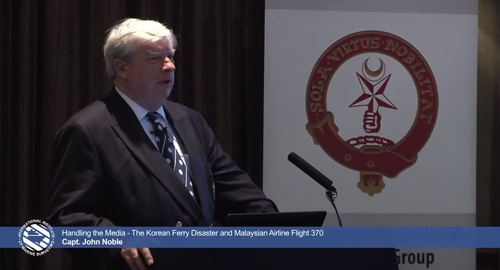 Capt John Noble has given many television interviews. In this video he offers some advice on how to handle the media. Video length: 32 minutes. 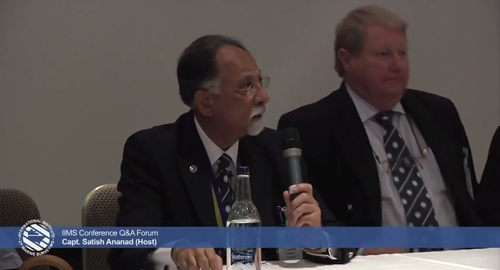 The final session at the IIMS conference featured an open Q&A session chaired by now Past President Capt Satish Anand. Video length: 30 minutes.